People need both cool and hot temperature in their homes. It depends on the time and season according to which atmospheric temperature goes up and down. In winters you may need heaters in the house to keep your house warm and in summers you want get rid of irritating warmth of sun. To get comfortable atmosphere inside the home people try many kinds of heating and cooling systems. For example, in winters people buy electric heaters and install fire places inside their home to keep rooms warm. In summer people prefer to get air conditioners and coolers so that they can live in comfortable cold region. All the traditional ways of heating and cooling are very costly and their equipments also cost too much amount on the budget of home owners. That’s why it is the time to try something new, cheap and better. While it comes to heating or cooling the home, people mostly depend on electric power for both of their needs. You can plan for having something better way of adjusting temperature inside the home. Geothermal heating and cooling systems are the best power saving ways of adjusting temperature inside the home. These systems are installed before building the house. Even if you already have a house, then also you can get this effective system installed inside your home. In this system small pipes or tubes are constructed under the floor, roof and also under the walls of our home. There is a mechanical room, where the entire heating and cooling process takes place. The network pipes are also situated under the earth. Yes, this is the geothermal heating and cooling system, which prevents you from spending large amount of bucks on home heating and cooling. Water runs inside the pipes. While the temperature outside in atmosphere is too cool, yet the earth’s temperature remains high. So the water is sent through the network pipes inside the earth and it travels through whole pipe network inside the earth. When the water is sent back in tank, it comes in hot form and then that water is distributed in whole pipe network that is installed into the floor, roof and walls. Thus the heating and cooling process takes place. Is this heating and cooling system works in summer season for coldness? Yes, off course this geothermal heating and cooling systems work effectively to cool the atmosphere inside the home in summer season. As explained above, during winter season, the earth’s temperature remains above the temperature of our atmosphere. Similarly in summer season the earth’s temperature remains below the temperature outside in the atmosphere. Thus, when you pass water through underground pipes and take that water back in the pipe network of your home, you feel relief from warmth of summer. This system works effectively to reduce the uncomforted because of nature. It is very effective way and you also get control mechanism to adjust the temperature inside the home. With every passing year conventional ways of getting power are reducing. Electricity is going to be a big problem in future until people get dependent upon the renewable energy resources. In such times geothermal heating and cooling system works without any need of large amount of electricity. What you have to do is just sending hot or cool water inside the earth and get opposite form of water into the home. Thus, if you want to keep your home cool, earth will provide you cooling water and if you want to get warmth inside the home, earth will provide you hot water. It is a very cheap way of maintaining the right temperature inside the home and you should also try it. 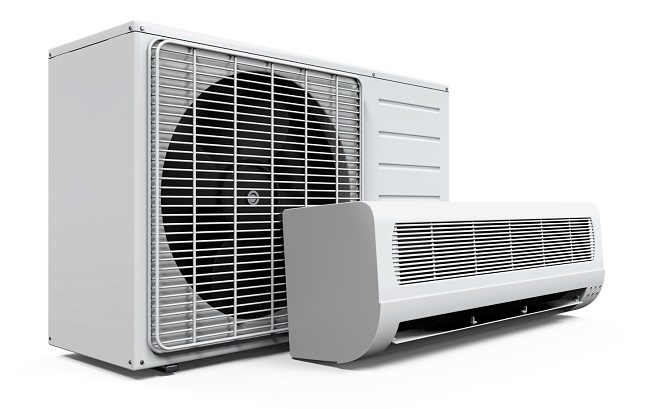 The above information help you to choosing best heating and cooling system for you home. Still want you know more details then please follow here.